As per the Motor Vehicles Act, it is mandatory for every vehicle plying on the roads in India to be insured with at least a third-party liability cover. Cities like Gurgaon, Delhi, Mumbai, etc. face high traffic, especially durn the peak hours when people go for work, kids go to schools, etc. Such places also have high number of car accidents happening, due to rash driving, breaking traffic rules, etc. hence, having a car insurance is a priority in such places. A comprehensive car insurance cover serves as an overall protection plan in the face of a mishap. The comprehensive car insurance plan protects the policyholder from own damage liabilities and third-party liabilities. 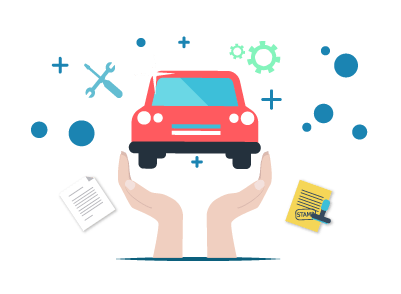 Third-party Liability Cover A third-party liability car insurance plan covers third-party liabilities that one incurs at the time of a mishap. This insurance plan offers limited insurance coverage. You can purchase or renew car insurance online by visiting third-party insurance websites or official website of the insurer. You can pay via credit card or debit card or netbanking for the car insurance policy. The process requires less documentation and is hassle-free. You can also make the policy purchase or renewal offline by visiting the nearest branch office of the insurer or meeting with an experienced insurance agent who can help you pick the best insurance plan that serves your motor insurance needs.